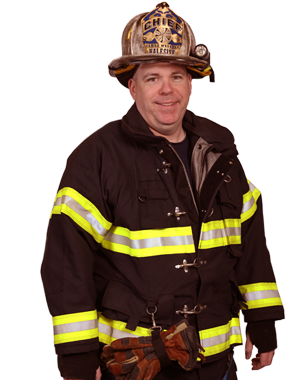 Halesite Fire Department: Delivering Fire, Disaster and Emergency Medical Services - Huntington, New York. The gratification that comes from using your skills and training to rush to the aide of the community is priceless. The Halesite Volunteer Fire Department is located in Suffolk County, New York (Long Island). Our Department is 100% volunteer, consisting of more than 80 members. We have proudly served the Halesite and surrounding community since 1901.
but only because there are volunteers who willingly contribute their time & energy to keeping the Halesite community safe. Volunteering can benefit you in many ways. You will earn respect from everyone who learns you are a volunteer. You will gain immense pride from your accomplishments and the knowledge and skills you acquire from your training. Some of the strongest social ties you will ever make will be with your brother and sister volunteers. And, of course, there is little that can compare to the satisfaction that comes from doing an important job well while contributing to the security and welfare of your community. Contact us today! The legendary Fox Fire Truck in front of the old Halesite firehouse circa 1925. Halesite Fire Department medical emergency and fire disaster apparatus. Halesite Fire Department volunteers participate in water rescue drills.